Hello! 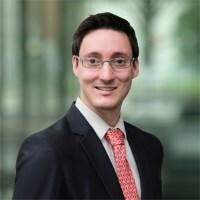 My name is Rene Modery, and I'm a Microsoft Office Servers and Services MVP, working as a Solutions Architect (SharePoint, Office 365, Azure, AWS) in Singapore. In the past 10 years, I have lived and worked in Europe and Asia Pacific. The main focus of my work lies on SharePoint, Office 365, and Azure. I am generally interested in helping companies get more value out of their SharePoint and cloud investments.